In an official announcement expected on Monday, the FBI plans to name suspected terrorist Osama bin Laden to its 10 Most Wanted list. He is accused of being behind two embassy bombings in east Africa last August that left more than 200 people dead. BRIAN WILLIAMS, CNN ANCHOR: In an official announcement expected on Monday, the FBI plans to name two new suspects to its 10 Most Wanted list — one is James Koop (ph), who is charged with murdering a doctor who performed abortions, and the other is suspected terrorist Osama bin Laden. He is accused of being behind two embassy bombings in east Africa last August, that left more than 200 people dead. CNN’s Peter Bergen has more on this elusive man. PETER BERGEN, CNN CORRESPONDENT (voice-over): A federal indictment accuses Osama bin Laden of masterminding three attacks against American targets over the past six years. Bin Laden’s main grievance — the continued U.S. military presence in his native Saudi Arabia, a presence he says is a violation of Islamic principles. The son of a Saudi billionaire, bin Laden is now exiled in Afghanistan. He’s estimated to have thousands of followers in as many as 20 countries around the globe. In February of last year, bin Laden for first time called on his followers to attack both U.S. Military and civilian targets. In August, bombs exploded at two U.S. embassies in Africa, killing over 200 people. The U.S. government quickly determined that bin Laden was responsible for those attacks, and President Clinton ordered cruise missile strikes on bin Laden camps in Afghanistan — bin Laden survived the strikes. The U.S. government also posted an unprecedented $5 million dollar reward for information leading to bin Laden’s capture, and indicted him for conspiring to kill Americans. But capturing or killing bin Laden may prove difficult: He is surrounded by a group of fanatically loyal followers. He lives in Afghanistan, a rugged mountainous country he knows well. The United States has limited diplomatic clout there, having closed its embassy in 1979. And the U.S. maintains only sporadic contact with the Taliban religious militia that controls most of Afghanistan and has protected bin Laden. 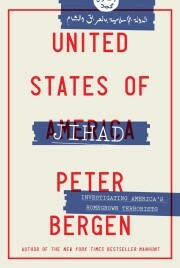 (END VIDEOTAPE) WILLIAMS: And as CNN’s Peter Bergen now joins us live from Washington — Peter, what does it mean to have Osama bin Laden put on the 10 Most Wanted list by FBI? BERGEN: I think in practice it doesn’t mean a huge — it’s not going to give a huge amount of difference to actually getting hold of him or capturing him, because, they’ve already put a $5 million reward on his head, and that’s been in effect since August. But, I guess it does give a little bit of publicity to a man who has sort of been out of news for a while and at least remind people that he is wanted. But I think finding him is going to be rather difficult, because, as I said in the piece, he is surrounded by fanatically dedicated group of followers. They — rewards have worked fairly well in the past. For instance, one bomber of the World Trade Center building in New York, Ramsey Usef (ph) — there was $2 million dollar reward for him, and that worked out pretty well, but he was by himself — he was one person — not part of a larger group, which bin Laden has around him. Also what worked very well was the guy who attacked the CIA headquarters and killed two CIA employees, Mirai Malkanzi (ph). There was, again, a reward for him — that worked. But again, he was a lone person, not operating as some part of a larger organization. WILLIAMS: Have the authorities heard absolutely nothing on this $5 million reward? BERGEN: I don’t believe they have. I am not — I don’t know for a fact. But I don’t think, you know, a, he has his own money, and, b, the kind of people who surround him aren’t necessarily motivated by material matters. WILLIAMS: Peter, I recall a few months ago it was believed that Osama bin Laden may have left Afghanistan. What is current feeling on where he might be right now? BERGEN: I think U.S. officials and Afghan officials have told me that he is in Afghanistan, and I, just from my own personal opinion, believe he is in Afghanistan, because the most dangerous thing for him to do is to leave Afghanistan. There are perhaps a few places in world he could go and live — maybe Yemen, maybe Somalia — but the problem is getting there. Suddenly, he becomes — makes himself very exposed once he leaves the area that he knows well. So I think it’s unlikely that he has left. The Taliban has said that he has disappeared from Afghanistan, at least the areas they control, and I think that solves a political problem for them, which is they’re sort of embarrassed about what he is doing, but from an ideological point of view, they like him, and they certainly don’t want to expel him, because, basically, there is a great tradition of Afghan hospitality and solidarity. WILLIAMS: All right, CNN’s Peter Bergen from Washington, thank you.